Former President Olusegun Obasanjo on Monday advised President Muhammadu Buhari against releasing funds meant for constituency projects to federal lawmakers. Mr. Obasanjo said shortly after visiting Mr. Buhari at the Presidential Villa that the current crisis in the House of Representatives confirmed his allegation that there were thieves in the National Assembly. The former president spoke as the rift between the Speaker of the House of Representatives, Yakubu Dogara, and former Chairman of the House Committee on Appropriation, Abdulmumin Jibrin, intensified. Mr. Jibrin is accusing Mr. Dogara and leaders of the lower legislative chamber of padding the 2016 budget. But in a telephone interview with PREMIUM TIMES from his Abeokuta home later on Monday, Mr. Obasanjo said on no account should Mr. Buhari release any money in the name of constituency projects to the National Assembly. The former president said Nigerians should continue to protest the move by federal lawmakers to use the budget to illegally enrich themselves. Since Mr. Buhari is the only person empowered to release money under the law, Mr. Obasanjo advised the president to only make funds available for expenditures that were legally budgeted for. He said the constituency projects, as being canvassed by the lawmakers, were “illegal, criminal and wrapped in corruption”. “They are the contractors, the jury, the judge and prosecutors,” Mr. Obasanjo said. “They put the projects in the budgets and they do the projects by themselves or through contractors they nominate. Where is integrity? Where is honesty?” the former president asked. Still carpeting the lawmakers, Mr. Obasanjo said members of the National Assembly were simply trying to hijack the job of the executive arm of government. “Who supervises the job? Who ascertains that the job has been done? It is not in their place to execute projects. It is illegal,” he said. Mr. Obasanjo advised lawmakers interested in having projects executed in their constituencies to go to the executive and make their cases. He argued that constituency projects were illegal and that Nigerian lawmakers only use them to steal money. “They are thieves. I have always held the view that they are thieves, can you all see it now?” he said. He also said once lawmakers perform the functions of the executive, they would not do justice to lawmaking and would not be able to pass budgets the way they should be done. The former president lamented that the national lawmakers were using the “constituency projects” to crowd out legitimate and genuine capital projects the executive would have used to develop the country. The former president said during his tenure, he did not release funds for constituency projects. “I explained to them that it was the job of the executive to execute projects to develop the country, while that of lawmakers was to approve the budget.” Mr. Obasanjo was president between 1999 and 2007. He said he also advised federal lawmakers that if they wanted to be in a position to award contracts or execute projects like those in the executive arm of government, they should go and contest elections as local government chairmen, governors or president. He warned lawmakers against usurping the functions of the executive out of greed, selfishness, lawlessness and criminality. 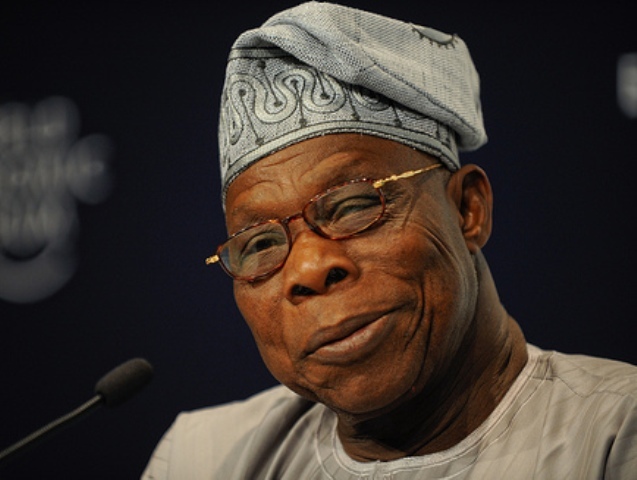 “They should be lawmakers, not law breakers,” Mr. Obasanjo said.